There is simply no court reporting trade association that has such a record of success advancing and protecting the aims of freelancers like you. Uniquely among state trade associations, we are leaders in the fight everywhere there is a fight: before the Court Reporters Board (“CRB”); in court; in the court of public opinion; before the Franchise Tax Board; before the State Bar; everywhere. Submitted a letter to the Judicial Council's Commission on the Future of California's Courts in opposition to a proposal to replace stenographic reporters with electronic recording (ER). The letter includes many examples of the failure of ER across the nation. Sponsored AB 1197 (Bonilla), a bill requiring disclosure of ongoing contracts in the Deposition Notice, allowing attorneys to object to the use of a contracted reporting firm up to three days before the onset of the deposition. An informative Q&A document was prepared to inform the public about the benefits of the bill, which was signed into law by Governor Brown. Shortly thereafter, CalDRA launched ab1197.com to help inform consumers and reporters about the effects of the law. Requested that the California Court Reporters Board refrain from imposing discipline on licensees who charge an expedite fee on certified copy orders. The letter respectfully asks that the Board refrain from imposing discipline on a licensee until this policy is agendized for formal board discussion and until the public is allowed to offer comment on it, its fairness, its legality, and its consequences. CalDRA moved to protect freelancers by clarifying the deposition officer’s scope of practice in a petition for rule-making with the Court Reporters Board of California where existing rules created ambiguity. 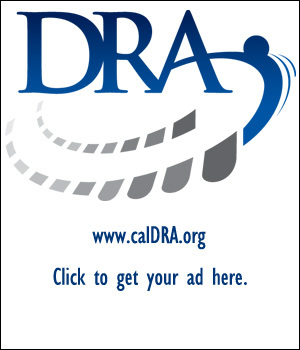 Scope of Practice regulations were adopted, and CalDRA continues to work to clarify rules governing the practice of court and deposition reporting in California to ensure they remain consistent with existing practice. CalDRA also single-handedly initiated rule-making from the CRB on broadening its ethics regulations to include corporations after the victory in the USL case and addressing problems in students obtaining federal financial aid. As well, CalDRA has supported the appointment of a majority of the Court Reporters Board. Sponsored AB 2372 (Hill), a bill in response to member complaints about being unable to collect from attorneys using only a PO box as address. The bill requires the requesting attorney or a party representing himself or herself, upon the written request of a deposition officer who has obtained a final judgment for payment of services provided, to provide to the deposition officer with an address that can be used to effectuate service of summons by personal delivery. Wrote and secured passage of a bill (AB 2747) that clarifies that you, a non-lawyer and non-party to the lawsuit that sparked the deposition, cannot be unfairly and uniquely forced to defend your rates and charges in the underlying litigation. Held the Save Our Schools Summit, a gathering of leaders in the public and private education sectors as well as industry professionals and regulatory officials, to discuss declining enrollment in court reporting programs throughout the state and challenges in students’ ability to secure much-needed financial aid due to recent changes in government interpretation of rules. Successfully opposed AB 251 (Wagner), which would have allowed for electronic recording in lieu of a certified shorthand reporter in family law cases. Single-handedly led the fight that saved West Valley College’s Court Reporting program when West Valley College leadership threatened to discontinue its court reporting program. CalDRA mobilized reporters and elected officials in a grassroots effort that resulted in the college administration reversing itself and preserving the program. Successfully fought against the closure of Tri-Community Adult Education’s court reporting program. Submitted lengthy and successful testimony in defense of Arizona’s impartiality regulations, for which DRA received heartfelt thanks from our Arizona colleagues. Through its “Project Collect,” wrote and co-sponsored with CCRA AB 1211, a bill that holds attorneys directly liable for the payment of reporters' services, unless written notice is given at the time the services are requested that another entity is responsible. The bill makes it easier to collect from deadbeat attorneys. Single-handedly blocking the Franchise Tax Board from taxing the income reporters make on certified copies. 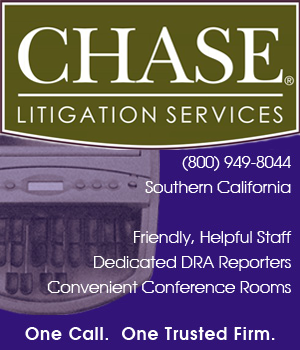 Led the successful fight to prevent the creation of a county Bar Association-sponsored competing court reporting firm, for which CalDRA received praise statewide for its effective advocacy. CalDRA’s complaint initiated the landmark USL case brought by the CRB; the case that established that non-licensee-owned corporations are subject to the CRB’s jurisdiction. The case was based on legal theories provided to the CRB as a part of that Complaint. CalDRA’s lawyer and lobbyist made at least five court appearances and engaged in innumerable consultations with the Attorney General and provided four substantive and lengthy legal briefs. Wrote and filed friend-of-the-court briefs in the Seranno case, both at the court of appeal and the California Supreme Court. Initiated the widely-acclaimed AskDRA video series where your questions are answered in fun and informative ways. CalDRA, in collaboration with CCRA, retained a prestigious law firm to outline the dangerous tax consequences of law firm employees taking kickbacks in exchange for selecting one reporting firm over another, based on incentives offered in exchange for future business. Took the message that lawyers might be liable for kickbacks before the IRS directly to the State Bar Annual Convention, and securing a column in the State Bar magazine and the magazine for legal secretaries as well. CalDRA crafted an entertaining and educational video about it and brought it to the floor of the 2011 State Bar convention. Led the charge to defeat Assemblymember Wagner’s bills opposed by the profession, especially AB 2006 that would have wrongly raised the dignity of videotaped depositions to the dignity of your transcripts and copies. Through “Project Respect,” CalDRA single-handedly led the charge to save the Court Reporters Board of California from Governor Schwarzenegger’s effort to eliminate it. AB 1293 included language proposed by DRA that reporters being paid from the Transcript Reimbursement Fund may be compensated for nonappearances and for customary per diems or hourly fees, neither of which was provided for previously. CalDRA successfully opposed legislation that would have required encryption, password protection and electronic signature on e-mailed transcripts. AB 333 clarified that if a deposition is taken stenographically, it shall be done by a California CSR, which, although custom and practice, was not actually stated in the CCP. CalDRA supported COCRA in its opposition to a proposed compromise to expand ER in some courtrooms in exchange for live reporters in others, because we recognized that that would be harmful to the profession as a whole. Our philosophy is not that ER is inevitable and that we should therefore try to control it; but rather, that ER will never be acceptable and should be fought every step of the way. AB 2842 clarified that the deposition officer may not go off the record without the stipulation of all parties present unless any party attending the deposition, including the deponent, wishes to seek a protective order due to the manner in which the examination is being conducted. The bill also exempted a reporter's audio files from the legal requirements imposed upon other audio or video records made at a deposition by differentiating that the reporter's audio file is a record made by the deposition officer to assist in transcribing the testimony as opposed to a record made by or at the direction of a party. 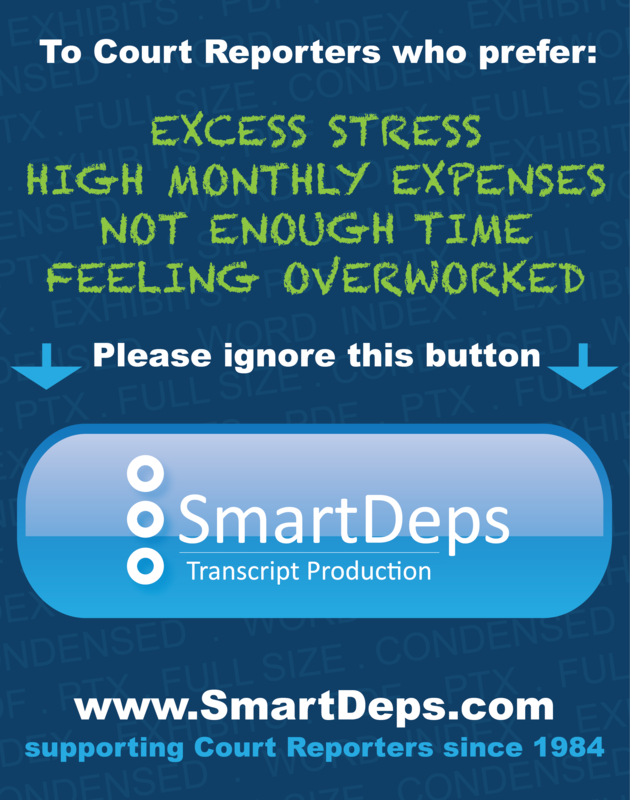 In conjunction with this effort, CalDRA defeated a bill that would have required reporters to retain their audio files consistent with the legal requirements of retaining stenographic notes, thereby subjecting those files to the possibility of being subpoenaed. AB 2842 added language that "Any offer made by a deposition officer to provide realtime or rough drafts to any party shall be made to all parties in attendance and that the cost for such services or products shall be equal to all parties." This is the first language in the California CCP to address equal pricing for services, preventing the providing of rough drafts or interactive realtime either for free or at a reduced rate to one side in the litigation. 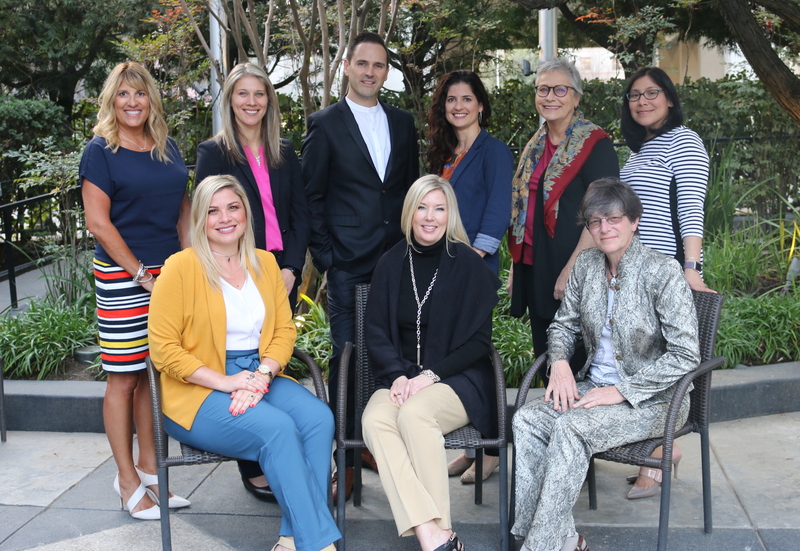 CalDRA worked with the National Court Reporters Association (NCRA) to organize and coordinate successful efforts across the country to preserve the impartiality of the freelance deposition reporting profession. As a result, court rules or laws preserving the impartiality of freelance deposition professionals were passed in fourteen states including Hawaii, Texas, Minnesota, Utah, West Virginia, New Mexico, Georgia, Louisiana, Nevada, Kentucky, Michigan, Arkansas, Indiana, and North Carolina. CalDRA in 2010 spearheaded the drafting and lobbying for NCRA’s strict new ethics policy in their Code of Professional Ethics, Provision 8, entirely banning kickbacks for business. In 2011, within 48 hours of it coming to CalDRA’s attention that NCRA Immediate Past President SueLynn Morgan had taken a job with a company which provides and promotes digital audio recording over stenographic reporters in the courts, CalDRA lodged the first formal written complaint to NCRA, requesting it take immediate action to ameliorate the situation. DRA garnered the signatures of over 400 members in support of our assessment of the urgency of the situation and our proposed plan of action. CalDRA created the 2010 Voter’s Guide in an effort to provide NCRA members nationwide with all available information about candidates to assist them in making the best possible choices for the following year’s NCRA officers and board members. Upon submittal of a joint resolution with CalDRA and CCRA, NCRA banned gift-giving entities from advertising in its publications, setting a national standard as a template for state entities to enact similar language. CalDRA – WE GET YOU BECAUSE WE ARE YOU! Professional development. Community. Vigorous advocacy. Conventions that are fun, great for networking, and educational. If you haven’t already joined, what are you waiting for?